With the world in shock over the devastation in Japan, it’s hard to go about the day without thinking of the many people who are suffering and in need of our help. Here are five ways you can. Donating $10.00 has never been easier. Text REDCROSS to 90999 on your cell phone and ten dollars will be added to your phone bill. Money received will directly impact the rescue and rebuilding efforts by The American Red Cross. 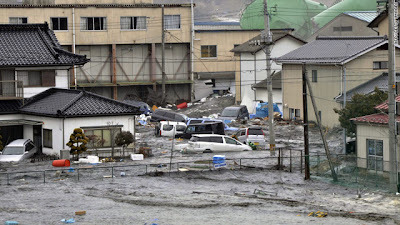 Michelle Jackson, AmeriCares emergency response manager, who has arrived in Japan, reports that the Tokyo airport is operational and rail service in the city is functioning, but many rail lines heading north are shut down. AmeriCares promise is simple: when people are in crisis, they will get the help they need, wherever they are, whenever they need it. Your donation is a vital part of that promise. To donate, please visit their website. Save the Children serves impoverished, marginalized and vulnerable children and families in more that 120 nations. Their programs reach both children and those working to save and improve their lives, including parents, caregivers, community members and members of their partner organizations. They help save children’s lives, protect them from exploitation and assist them in accessing education and health care. 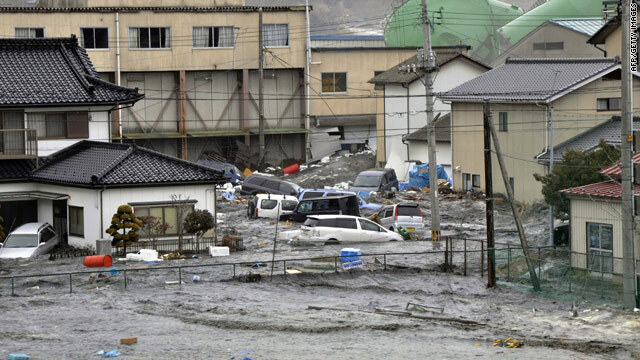 To donate to the Tsunami Victims Click HERE. Text JAPAN to 50555 to give a $10.00 donation. How does Global Living work? GlobalGiving begins with the dedicated, tenacious individuals who are driving change in their communities. From running orphanages and schools, to helping survivors of natural disasters, these people are do-gooders to the core. They connect these “good idea people” with the “generous giver people” and help projects of all sizes receive donations of all sizes. We are all connected through humanity. Sometimes it takes a disaster to remind us. Thanks for this, Christine. And know I'm thinking of you. BOYCOTT AMERICAN WOMENWhy American men should boycott American womenhttp://boycottamericanwomen.blogspot.com/I am an American man, and I have decided to boycott American women. In a nutshell, American women are the most likely to cheat on you, to divorce you, to get fat, to steal half of your money in the divorce courts, don’t know how to cook or clean, don’t want to have children, etc. Therefore, what intelligent man would want to get involved with American women?American women are generally immature, selfish, extremely arrogant and self-centered, mentally unstable, irresponsible, and highly unchaste. The behavior of most American women is utterly disgusting, to say the least.This blog is my attempt to explain why I feel American women are inferior to foreign women (non-American women), and why American men should boycott American women, and date/marry only foreign (non-American) women.BOYCOTT AMERICAN WOMEN!